I was watching a video of little kids trying to figure out how to use a rotary phone, and it was not immediately clear to any of them how the rotary mechanism was supposed to work. That got me thinking: why was the rotary mechanism used in phones at all? It seems like individual buttons would be more intuitive to everyone and might even have less mechanical problems than a thing that has to rotate thousands and thousands of times over it's lifetime. Why was that design choice made, why were they popular, and why did they stick around so long even after phones with buttons came on the market? In the 1950s, AT&T conducted extensive studies of product engineering and efficiency and concluded that push-button dialing was preferable to rotary dialing (2). That suggests the designers did not know that buttons were better than a dial (if they did know, why would they have done such extensive studies?). It also suggests that it WAS possible to make a phone with buttons. They would have had to build button prototypes for their studies, right? The main reason was that it replaced hand crank telephones, and thus was a familiar interface. In the hand crank phone system, several houses were connected on one line, and each house was assigned a different ring pattern. For instance you might have been assigned one short ring, then a long ring. Your phone had a hand crank, a bell, a mouthpiece and a speaker. When the bell rang one short ring then a long ring, you picked up the phone and answered it. You ignored other ring patterns, unless you were a nosy neighbor. To call someone else on your circuit, you cranked the hand crank according to the pattern of the person you intended to call. The hand crank was on the side of the phone, and was essentially a small crank generator that sent an AC signal on the line, which the bells would react to on all the phones on the circuit. If you wanted to call to someone not on your line you would ring the operator - typically one long ring - they would answer and patch your call into other circuits and other operators if need be. The final operator in the chain would put the correct ring pattern on the correct circuit for the intended recipient. Thus, the hand crank was the original user interface for indicating who you wanted to talk to. 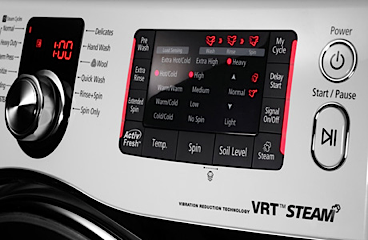 When automated selectors were introduced, there were many attempts to provide a reasonable user interface. One involved using two buttons, similar to telegraph keys, which had to be pulsed a number of times each to select rows and columns of relays. This was deemed too expensive because it required additional wires, and most systems instead moved to pulse dialing. This meant no new wires had to be pulled to customers, just an equipment change in the telephone plant and in the user's homes. Further, it was backwards compatible, and you could have both old crank style and new pulse style phones on the same circuit. People who were used to crank dialing phones and patterns found it easy to understand and use. It was no longer a crank, and it was on the face of the phone, but it was very similar to the long and short rings of the crank phone - a 0 was the longest (10 pulses) and a 1 the shortest (1 pulse) and it was essentially a crank dial phone with more than a few pulse styles. So while there are technical and cost reasons behind the pulse dialing technology (explained by other answers) the main reason it succeeded in the market where other techniques failed was that it was a familiar interface for those used to the prior telephone interfaces. *Keep in mind that the phone system was a monopoly at the time, you not only paid for the line, but rented the phone as well, and were not permitted to connect your own phones to the line - only phone company owned equipment. Further, the phone company provided all the electricity needed to run the phone system. The newer pulse dial phones could have been made with buttons and electronics, rather than a mechanical system, but that made the phone more expensive, and power hungry. They could have passed the cost along to the consumer, or used the mechanical method and made more money from phone leases. The reason for the design was because of the technology at the time. To dial a number, the user puts a finger in the corresponding finger hole and rotates the dial clockwise until it reaches the finger stop. The user then pulls out the finger, and a spring in the dial returns it to the resting position. For example, if the user dials "6" on a North American phone, electrical contacts wired through the cam mechanism inside the phone will open and close six times as the dial returns to home position, thus sending six pulses to the central office. Western Electric experimented as early as 1941 with methods of using mechanically activated reeds to produce two tones for each of the ten digits and by the late 1940s such technology was field-tested. But the technology proved unreliable and it was not until long after the invention of the transistor when push-button technology matured... Over the next few decades Touch-Tone service replaced traditional pulse dialing technology and it eventually became a world-wide standard for telecommunication signaling. The most important factor is that at the time that telephones were invented, there was no such thing as automated call routing. There were people sitting in central switching stations. You told them, "Connect me to Mrs. Johnson", and they replugged the wires -- and here you go, you're now connected to Mrs Johnson. Later, automated call routing was invented, but it did not use tone dialing yet – that would have been too complicated for the simple electronics to handle, because the switching system mainly relied on relays. Instead, it used pulse dialing, which is much simpler. It can even be mechanical (read about rotary selectors). availability of trained staff to maintain it. Back then, telegraphs were in common use. Mostly, these worked mechanically. Later versions were upgraded with electronics, but that's of lesser importance. To achieve automated call routing based on pulse dialing, you could use mechanical (and later, electronic) parts that were similar to those already being used in telegraphy. These made for lower cost, quicker introduction into public service and easier maintenance. Tone dialing, on the other hand, requires relatively good filters and detectors to match the tone frequencies. It is also more difficult to generate tones than pulses. 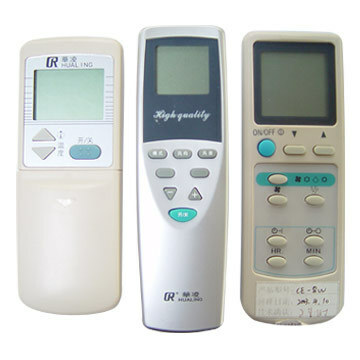 As the electronics improved and tone dialing started to be feasible, its introduction followed, since tone dialing is generally less prone to noise and errors than merely "counting clicks". As for the actual user interface, let's take a look at its history. So you had "on/off" devices and "knob" devices: on/off to connect or disconnect power, a 1-2-3-4-5 switch to change the channel, and a "knob" to adjust the volume or tune a circuit. There was no such thing as "press that to start a process which does A, B and then C". And of course, there were "sliders": knobs and sliders. In other words, all the traditional potentiometers and suchlike. Currently, we are all familiar with the notion that if you press a certain button, a machine will start, and that if you press that same button 5 times, the machine will perform its action with 5 levels of increasing intensity. So if you want a "louder sound", you press the "+" button X times. That's easy. But doing this requires a complex circuit which counts the presses, plus a DAC that converts the count to a particular voltage or capacitance etc. turned a knob left or right to get "more" or "less"
slid a slider up or down to produce "more" or "less". Knobs and sliders adjusted the resistance/capacitance/inductance directly. They were simple mechanical devices. For pulse dialing, where you need to emit more or less pulses, a rotary or sliding device is the first thing that comes to mind. Let's suppose you need to emit a given number of pulses. So we'll take a tube full of N contacts and a metal ball: if you drop the ball into the tube, it will "connect" exactly N times. Take 10 tubes, each with a different number of contacts, and you can very easily emit 1 - 10 pulses just by dropping a ball through the right tube. It's easy. It's cheap. It works. Maintenance is trivial. There are no complex or expensive circuits. But it's also harder for the end user to use. A rotary device with an automatic spring-loaded return would be so much better, and almost as cheap! Of course, this account is merely my surmise: I don't know what the exact reasoning was at Bell Labs etc. I have simply made an educated guess based on my own knowledge of the technology. After watching the video, I have some doubts about the veracity of their reactions, at least for some of them, but leaving that aside, I think the main problem now is that button interfaces are very common, almost anything is now a button, so the first reaction is to press something. 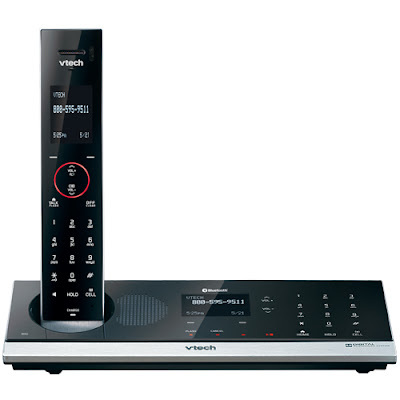 Phones, remote controls, interfaces on computers and tablets, microwaves, washing machines (although some still have a dial for adjusting settings selected with a button), etc. 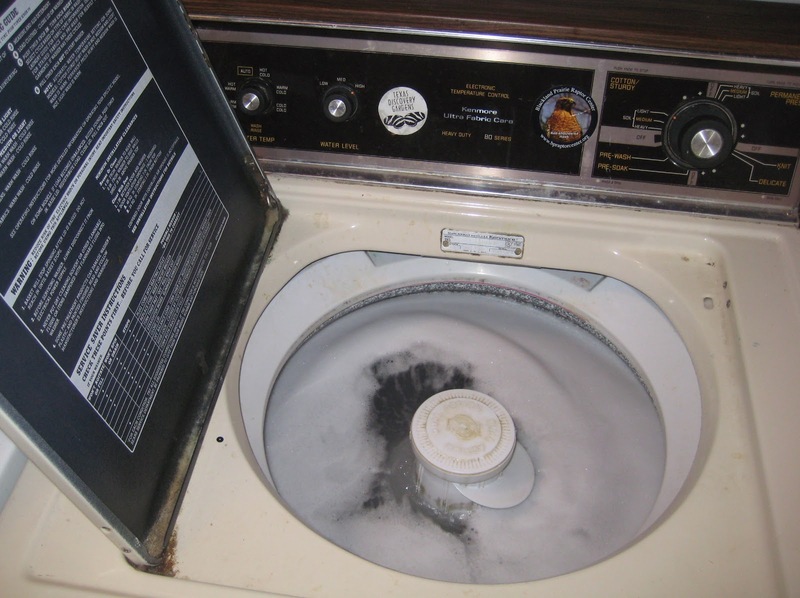 Before this modern times, we had many different interfaces, the rotary phone, hard to press buttons or dials on blenders, dials on washing machines, little lever like controls on electrical devices, watches, etc. So we where more used to variety and rotary elements. The rotary system is a mechanical mechanism that was available way before electronics where around and it was easy to implement with the desired precision. I could explain how that work, but the next quote from the Rotary dial article on Wikipedia summarizes it very clearly. The reason was that the telephone system required pulses to represent the numbers, and the technology did not exist at the time to generate pulses from pushbutton presses in a simple consumer device such as a telephone. The first automated telephone exchanges used electromechanical Strowger stepping switches that advanced one position for each pulse received. The pulses from the electromechanical dial on the phone could directly control the stepping switches in the CO to connect the "in" line to the "out" line. That was replaced gradually by electronic "touch tone" DTMF signalling, but the electronic exchanges of today still generally support pulse dialing. As recently as the 1980s I saw an operational electromechanical phone exchange in Blagoevgrad, Bulgaria (they had colorful lights wired to the steppers so it created a kinetic art effect behind the full-length windows in the central office). I don't have evidence for this, but I think it is an example of end-end system design between the selectors in the exchange, the handset and the user. To route through one selector you need to connect and disconnect the battery a specific number of times, giving time between each 'pulse' for the selector to move into position. So you need something that works like a music box or pianola to pace the pulses. A spring winding down against a brake was the obvious way to do this. Winding the spring with the clockwise motion and letting it unwind with the release provided motive power. Note that we don't have any UX, here, what we have is the user as a vital mechanical part of the system. Now the UX comes in with the design of the dial so that one inserts ones finger in a numbered hole and always moves all the way to the end stop. There is a little 'ting' when the dial reaches the rest point so one knows one can start dialling the next digit. When I was a child, 4 digits was the most we ever had to dial. Our number was 1876. We were on the Heathrow Airport exchange which was called SKYPORT so we answered the phone "SKYPORT 1876". To dial anyone else on the exchange was 4 digits and any other call was 100 to dial the operator. I can't remember when we got Subscriber Trunk Dialling, probably around 1970. It is a really lovely piece of integrated design, self-powered, usable in darkness, or by blind people, and immensely robust. Replicating all it's features with a touch tone system required many non-integrated features like bumps to find the home key. Tone dialling has the great benefit that the time taken to signal each digit is the same, so dialling can be much faster. But it requires an electronic, rather than an electrical exchange. The touch tone system is also a neat piece of engineering. Keypads lend themselves to being arranged in a matrix and if each button closes one row and one column and each row and column create a single tone one gets two tones with little complexity. simple filters or resonators at the receiving end can decode the tones. Software systems don't constrain UI design the way mechanical and electro-mechanical systems do. There were a few push-button pulse-dial phones around (though wikipedia could do with a reference), and even more which had a switch to select pulse/tone (in fact every non-cordless landline phone I've owned. The real reason hinted at in previous answers is that pulse dialling can be implemented with purely mechanical systems (this is Victorian technology). You don't even need relay logic at the exchange to implement pulse dialling (though it will have been used at some point, I can't find a definitive answer for where or when). It's not impossible to come up with a clockwork system to implement push-button pulse dialling (and steampunk enthusiasts care to try?) but this would need winding up. When the rotary phone was introduced the typewriter had only been around a couple of decades and was still new technology many people would never have seen. Even the electric doorbell hadn't taken off. A push button wouldn't necessarily have been familiar to the target market. The querant has asked the wrong question. When the automatic telephone switching system was developed, electronics was mostly electromechanical -- relays and switches and capacitors, gears and springs and solenoids. The dial mechanism wound a spring, and in returning to its resting position a set of gears and a cam repeatedly opened and closed a switch, sending a set of pulses onto the line. Those pulses were decoded by a stepping relay in the central office, which connected the phone to another stepping relay to decode the next set of pulses (and thus the next digit), until the last digit was decoded and the call was routed to the appropriate telephone line. The sequence of dial tone, answer, and eventual disconnection was likewise handled by state machines implemented in relays and RC delays. Having a mechanical linkage which permitted dialing by button wouldn't be impossible -- but it would be much more complicated (and expensive, and failure-prone). And it would have the major problem that pulse-dialing takes time for the pulses to go out over the line; you can't enter the next digit until the current one has finished... and the dial provided visual feedback indicating when the phone was ready for you to enter that digit; buttons wouldn't. Modern phones, of course are entirely electronic. When operating in pulse mode, they solve the delay problem by buffering the digits as the user enters them -- so you can push the buttons as fast as you like, but the pulses will go out no faster than the official specification says they can, with the appropriate delay between digits and without digits stepping on each other. Essentially, this is the same approach that enables "type-ahead" in computers. So: The answer to "why were early phones dial rather than buttons" is, essentially, that buttons really weren't a practical option. And indeed buttons as control devices were GENERALLY rare at the time, except in the simple form of pushbutton switches. The proper question isn't "why not buttons" -- it's "when the technology switched to tones, how long and how much work did it take them to come up with buttons, and this specific arrangement and labelling of buttons?" After all, this was and is upside-down compared to the arrangement of numbers on mechanical calculators, which predated pushbutton phones... and there's no particularly good reason that the symbols * and # should have been used for the two additional buttons, or that those two buttons needed to be provided at all, or that only two buttons were added rather than enough to fill out a 4x4 grid. Those are the real UI questions that had to be considered and actively compared to the dial that people were already used to. In pulse-train driven "addressing" systems (to avoid the use of the word "dialing"), there is a specific timing window for recognizing a string of pulses as a specific number - there is a minimum amount of time between pulses that can be recognized by an electro-mechanical switching system, and a maximum time between pulses that signal the end of one number and the beginning of another (e.g. if you put out two pulses, then quickly put out two more pulses, is your intent to dial "22" or "4"? The only way to be sure is the presence or absence of an appropriately timed pause between those actions). The one convenient thing about the dial interface is that it forces you to wait until the pulse train for one number is complete before allowing you to enter the next number, and the amount of time it physically takes for you to start the next number (e.g. to move the dial from resting position to, say, the number '1' before releasing it) also pretty much guarantees the proper spacing between pulse trains. For simplicity of design and appropriateness for technology, it is an elegant solution. It may seem simple to build a mechanical button-based system to generate pulses, but it begs the question - how do you keep users from pushing buttons too fast? If you can't, how do you implement "memory" (before semiconductors) so that it plays out all the numbers you punched with appropriate time between pulses and spacing between pulse trains? This is a MUCH harder problem; ask a watchmaker how difficult a complication that would be, and how feasible and costly it would be to mass-produce it. One factor driving the switch over to buttons rather than a rotary dial was the increasing length of telephone numbers, as they grew to accommodate more telephone numbers being used. Having to dial lots of numbers on a rotary dial is very tedious ! As to the question of why rotary dials hung on for so long; in the UK, the switch over to being able to buy your own phone rather than using one of a few standard models rented from the state telephone service provider meant that it was suddently possible to buy push button phones that had lots of extra 'smart' features, which didn't exist on the rotary dial phones. Rotary dial phones where also wired into the wall (rather than into a jack socket), and being low technology, rarely went wrong. So if your household already had a rotary dial phone then you tended to be stuck with it (unless you wanted to join the queue for the state telephone company to come out and change it to something more modern). Going back to UX and quetzalcoatl's discussion above (I've not been here long enough to comment), in those days you pressed to do a binary option (on/off) and rotated to select from a range of options. Washing machines still do, but then you also selected you TV station by rotation, ditto oven temperatures, radio stations, things that pressed your name into metal at railway staions. The old telphone box shows this well, with rotating dialling action but with buttons A and B for committing contact and returning coins. In the 1890s when the automatic telephone exchange was being developed by A. B. Strowger, only pulse dialing was technologically possible. 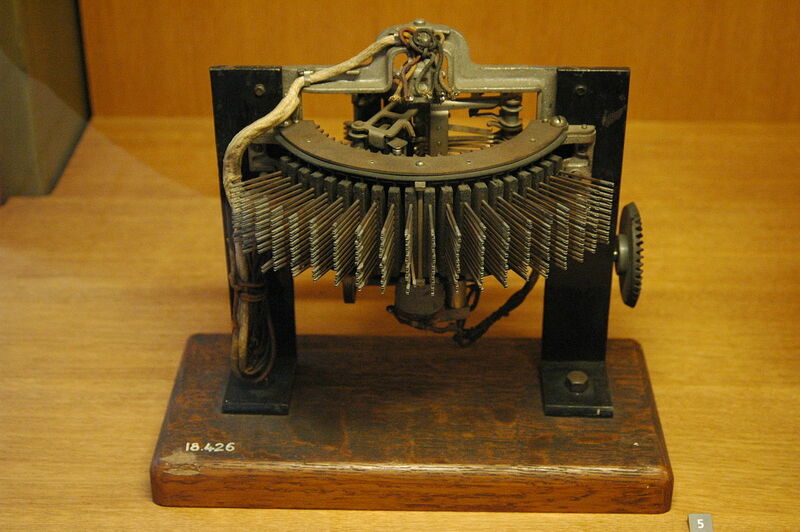 A single mechanism driven by a rotating dial was the simplest way to produce the arbitrary numbers of pulses needed. Theoretically you could have multiple mechanisms actuated by buttons, but this would be wasteful - it would be much more expensive and occupy more space than a single dial. The single dial also has the inherent feature of preventing/discouraging the user from sending another number until the first has finished. Buttons would not, without an additional mechanism to enforce the lockout. Not the answer you're looking for? Browse other questions tagged buttons physical telephone or ask your own question. Is there any good reason to enforce a maximum length for comments? Why do modern smartphones featuring a touchscreen have several forward-facing buttons? What are some design patterns for a cycle button? Why do manufacturers allow Android's 'takeover'?